Margaret H. Oliver, LLC, is a Howard County, Maryland, law firm that helps people through family law matters including prenuptial agreements, divorce, child custody, child support, alimony, guardianship and adoption. Margaret Oliver is an experienced attorney who has dedicated her practice to family law because of her desire to assist families in crisis. Whether you are part of a traditional or nontraditional family, she has what it takes to get the results you seek. 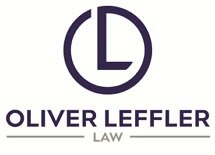 With a strong focus on collaborative practice and mediation, Ms. Oliver assists clients who seek healthy resolutions by providing alternative dispute resolution services to help them negotiate agreements without going to court. This gives parties more control over the results and can often save time and money while avoiding the stress of taking a case to trial. Sometimes negotiation is not an option. If this is the case, Ms. Oliver will put more than 15 years of experience to work as she fights to protect your best interests. In addition to being honest, supportive, fair, and sensible, Ms. Oliver brings an expansive depth of knowledge to every case she handles. Whether you are facing a divorce, child custody issue or want to adopt, turn to Margaret H. Oliver, LLC, for quality legal representation. Ms. Oliver is happy to help you reach your goals while providing the support you need.